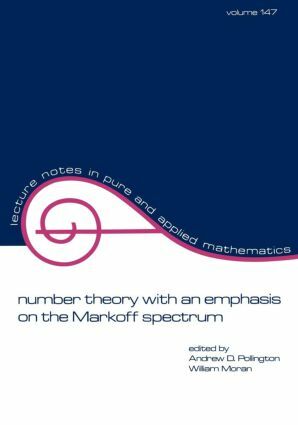 Presenting the proceedings of a recently held conference in Provo, Utah, this reference provides original research articles in several different areas of number theory, highlighting the Markoff spectrum. ;Detailing the integration of geometric, algebraic, analytic and arithmetic ideas, Number Theory with an Emphasis on the Markoff Spectrum contains refereed contributions on: general problems of diophantine approximation; quadratic forms and their connections with automorphic forms; the modular group and its subgroups; continued fractions; hyperbolic geometry; and the lower part of the Markoff spectrum. ;Written by over 30 authorities in the field, this book should be a useful resource for research mathematicians in harmonic analysis, number theory algebra, geometry and probability and graduate students in these disciplines.